This book sounds awesome! It sounds like a really creepy, engrossing read. I can't wait to check it out! What are you WoWing for this week?? Leave your link so I can check it out! Oh man, first that cover is gorgeous. second, creep central. Sign me up. This sounds really good! I've never heard of it before. I'm adding it to my list. Thanks! I do love a creepy read and I want to know what this is about. Never heard of this before...sounds great though. The cover reminds me of an updated Ophelia...got to read this. Thanks for the heads up! 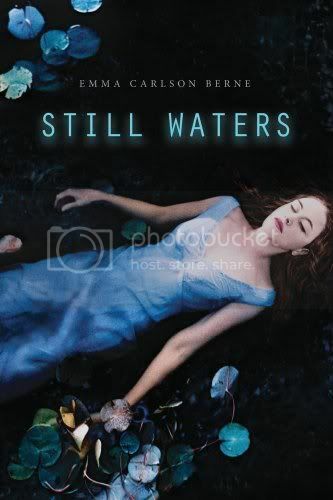 "Still waters" sounds like a great book, thanks for bringing it to my attention. I'll wait for your review on this one Christy! You can test the creepiness factor for me before I give myself nightmares! Oh that sounds creepy! I love it! Will definitely have to check this one out! The cover is eye catching, and it sounds like creepy fun! Can not wait to read this one either. Great choice! Reading this description now...this may be too creepy for me! I'll have to read some reviews closer to its release date. Love the cover! Looks like a perfect book for me! I have not heard of this one yet, but its going on my TBR pile. I haven't heard of this one yet, but it looks good! Adding it to my wishlist! I just got chills after just reading the summary. :) What a fantastic read! 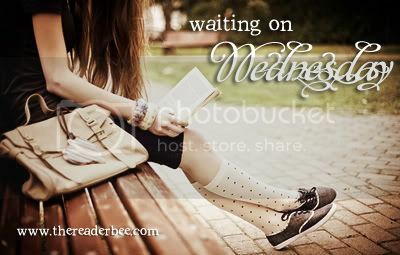 It's definitely going on my TBR list. Thank you for sharing! Wow, this sounds awesome. I am definitely adding it to my TBR list. That cover is ominous! You always have some of the best picks for WoW! This ones sounds SO good! I will definitely be adding it to my list! I adore this cover. People seem to be skipping straight to 2012 debuts but there's tons, like Still Waters, still coming in 2011. Can't wait! Love the summary and description for this book. I am looking forward to it as well! Great Pick! Ok, this one seriously looks creepy, though the cover doesn't hint it at first. I'm really intrigued by the short synopsis. Thanks for putting this on my radar, Christy! Hey, Christy. Thanks for the reminder about this one. It sounds like it's going to be very good. Can't wait! Nice pick! This really does sound interesting (and a little scary), so I'm excited to read it. This does look good and yes...super creepy! I love the covers featuring water. There's something ethereal, yet spooky about them. I love this cover! It makes me wonder what happened to her and why she is floating in the water. Definitely creepy!